Sturges Word Communications recently joined the more than 150 elite social agencies around the world that are certified through Sprout Social, the leading provider of social media solutions for businesses. This certification allows Sturges Word to take part in Sprout’s Agency Partner Program and grow its network of digital agencies, share insights and provide increased value to clients. With more than 95 percent of adults on social media, it is vital that brands have a strategic social media plan. Sturges Word uses Sprout to create content, schedule posts, engage with followers and monitor engagement through Sprout’s extensive analytics and reports. Sprout enables Sturges Word to create content optimized to its clients’ audiences and test content for performance, leading to increased awareness. For example, LinkedIn impressions increased by 74 percent for one Sturges Word client after utilizing Sprout. To obtain Partner certification, Katie Garcia, account manager, participated in training and passed Sprout’s partner certification test. After successful completion of the test, Sturges Word gained access to Sprout’s community of digital agencies around the world. In this community, partners are encouraged to collaborate and share industry best practices, leading to superior social media campaigns and projects for their clients. In addition, as an agency partner, Sturges Word has access to bi-weekly partner broadcasts that cover a variety of topics intended to help partners get the most out of the Sprout platform, a feature that will continue to increase the social media success of Sturges Word’s clients. 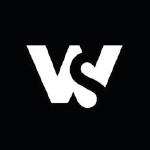 Sturges Word already creates award-winning social content for its clients, including projects that have won AMPS and PRISM awards, and now as a Sprout Social Agency Partner, Sturges Word is excited to use its network of digital agencies and resources to continue to provide value to and grow awareness of its clients. 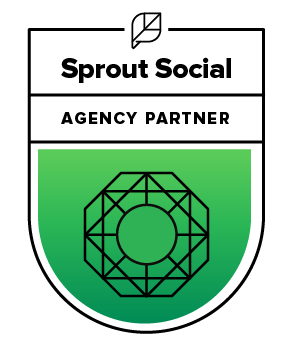 Sprout Social offers social media management, analytics and advocacy solutions for leading agencies and brands, including Hyatt, GrubHub, Microsoft and Zendesk. Available via web browser, iOS and Android apps, Sprout’s engagement platform enables brands to more effectively communicate on social channels, collaborate across teams and provide an exceptional customer experience. Bambu by Sprout Social, a platform for advocacy, empowers employees to share curated content across their social networks to further amplify a brand’s reach and engagement. Headquartered in Chicago, Sprout is a Twitter Official Partner, Facebook Marketing Partner, Instagram Partner Program Member, LinkedIn Company Page Partner and Google+ Pages API Partner. Want solutions for your business’ social media? Let’s Chat!